A journey to Qatar would be left-over without this unbelievably daring desert trips of Qatar into the infinite heart of the desert. Considered as one of Qatar’s Inland Sea known as the premium star Khor Al Adaid is a breathtakingly beautiful area offering a stunning view. Half day, full and overnight desert safari are the trips that they offer. You can experience the Sea, Sun, a Desert Safari, Sports or Shopping, Dune bashing, a private desert camp on the beach, North, Dukhan west coast or a trip to the beautiful Inland Sea; within 45 minutes of Doha. Hotel pickup and drop-off, Land Cruisers, Water and soft drinks services available. The tourists can take the ride of a roller coaster to visit the breathtaking place Inland sea, bordered by Saudi Arabia. The driver, water & soft drinks and insurance services arranged. Throughout the southern desert of Qatar, enjoy a great and exciting dune bashing, sand boarding, sand skiing, bonfire, music, sports, swimming and afternoon in stylish Bedouin camp. It also includes jeep with a driver, soft drinks, BBQ meal, insurance and bathroom facilities. Tour timing is 9:00-17:00 or 14:00-21:00 daily. 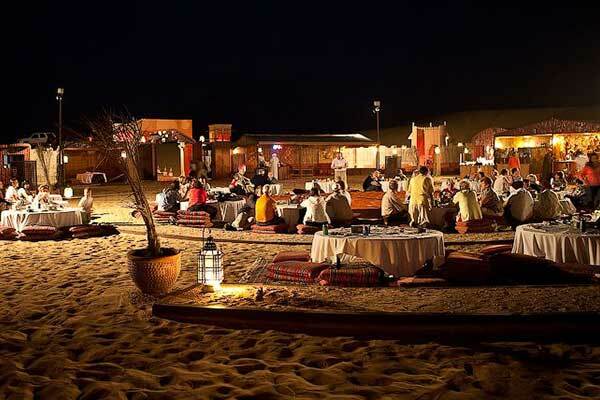 In overnight safari, the tourist has a chance to spend the night in stylish Bedouin camp and can enjoy the shining stars, while listing to the music. It includes sand boarding, a camel ride, quad biking, sand skiing, Bonfire, swimming, BBQ meal and clean sleeping bags. Near Khor Al-Udaid at the Bedouin camp where the tourists can enjoy a game of beach volleyball and shisha while watching the sun setting into the desert sands. In the evening, enjoy the full BBQ dinner under the shining stars and experience the relaxation in camp. After the night, the breakfast served in the morning. Must bring a camera, sun block, swimwear, towel and clothes. In the case of cancellation of the desert journey, we need 24 hours advice from the person who books the trip. Due to failure to inform about reservations within 24 hours, the guests should pay 50% of the total amount. Make your trip very exciting, hire a private car for you. And also enjoy your journey with friends and family and don’t have to mix with other tourists at the camp. That traveller who can’t handle dune bashing but doesn’t want to miss out. They can hire a driver for their private car, who will take them over the dunes. A perfect car quickly hired for your any desert safari like morning, evening or overnight safari. Pick and drop facility is available. All the cars are land cruises with trained guides drivers. This adventures program plan includes the pick & drop services by buses, and Land cruises and offers dune bashing for 20-30 minutes. The guests are entertain by doing some activities in which includes Magic show, Henna design, Jet skiing, quad biking, Lady making Arabian sweets, horses/camels, face painting, and buses to the meeting point & then transfer to the 4WD’s on the traveller’s request. At the camp, the guests can enjoy music DJ, shisha and sports activities. They provide delightful foods like Arabic Barbeque Dinner, water, soft drinks, tea, and coffee, to the tourists. They bring it from a finest Arabic restaurant from Doha. The booking could arrange as per your group size & as per your available time. The guests can celebrate their anniversaries, parties and gala dinners by organising a camp on rent. 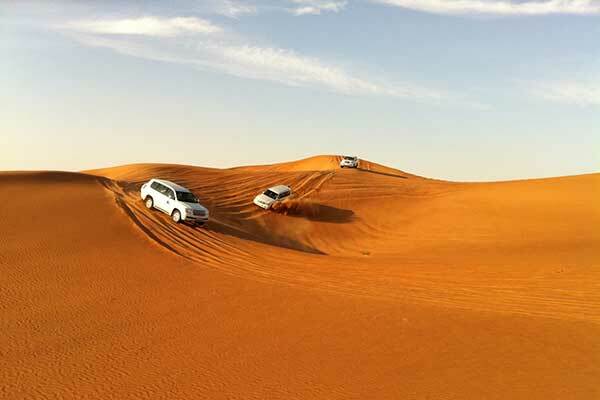 The biggest dunes in Mesaeed, while driving 4×4 with experienced drivers, to get there. They also provide a 20mins camel ride and sand boarding to travellers. During this trip, they offer you infinite refreshment & mineral water. The most attractive things are the Arabian horses that are renowned for their beauty. They perform Arab shows and race horses at the Al Shaqab Stud Farm. The Qatar Equestrian Club is the other attraction where visitors come over here to view its stalls, Races, and show-jumping events. The tourists trip will start from Al Khor’s harbour, where visitors can find old-style fishing dhows, pearling, a museum showcasing the fishing, a corniche leading to mangrove colonies and dhow building industries. While passing through Al Thakira, travellers will visit the mangroves & an ancient Mosque at Al-Jassasiya. The head up the North of Qatar is a little sleepy beachside town called Al Thakira. It is most famous for a small Corniche and a little family beach where you can see mangrove trees. They’re very proud of these trees yet to the visitor they seem strangely out of place. That beach is charming. The Al Thakira is an important natural environmental resource for Qatar, Which provides a natural habitat and a sanctuary for birds, fish and other animals as well as prevents coastal destruction? The Al-Zubarah Fort is well known as excavations are taking place there till today, and was once a flourishing port and a centre of trade, fishing and pearling. Visit a traditional Qatari village in the North, with houses made of sandstone & slush. Al Shamal is the north point of Qatar, from where you can see Bahrain on bright days. This tour includes conveyance with the driver, water & soft drinks, English speaking Guide, insurance and delightful Lunch in a local restaurant. If you want to visit the desert of amazing Qatar, check out its websites. Let know about its services and different qatar desert trips. Desert trips websites are the best way to achieve desired destination. Book your desert tip tickets for make your journey awesome.